It has never been easier and more enjoyable to clean your carpets! 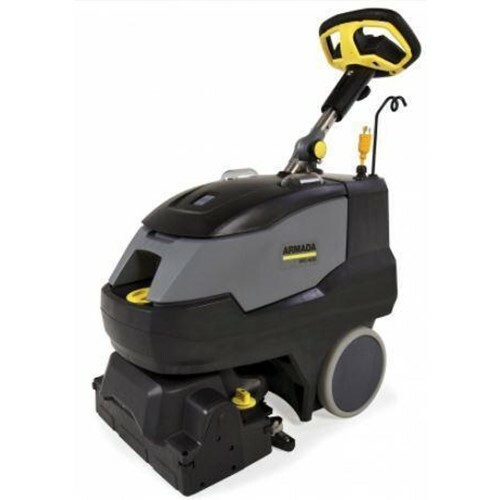 Designed to be the ultimate in maneuverability and productivity, the Windsor Karcher Group Armada is driving innovation forward. Enjoy the superior ergonomics of extracting while walking forward! The extractor deck rotates to allow cleaning in any direction. This new extractor provides anywhere from 30-60% productivity improvement in addition to reduced dry times. Our cleaning technology provides productive interim & deep extraction cleaning in one machine. Clean your carpets with the efficiency and speed never before seen.